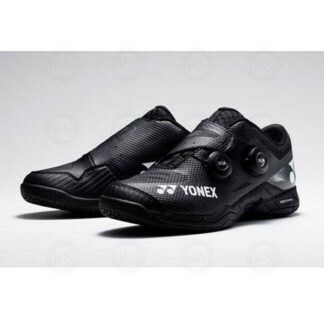 Yonex Co., LTD. is proud to introduce the new innovative badminton shoes, POWER CUSHION INFINITY. The unmatched performance of the POWER CUSHION+ construction meets the most secure fit of the double-dial Boa® Fit System, for faster more precise footwork. Badminton is getting faster and more dynamic, with many players demanding a shoe that suits their speedy style of play. POWER CUSHION INFINITY utilizes the lace-less Boa® Fit System, with two dials allowing those quick, fine adjustments independently around both the toes and ankle for an unparalleled fit. In addition, the new 3D Power Graphite Sheet integrated within the sole increases stability without sacrificing comfort. Whilst the midsole contains POWER CUSHION+ cushioning which transforms the impact when jumping, running and lunging into energy. 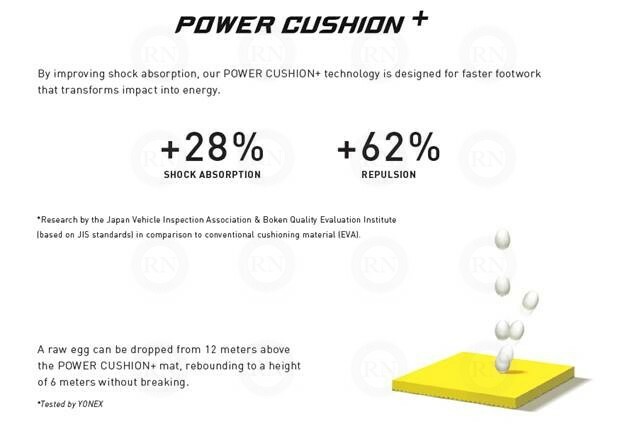 POWER CUSHION INFINITY supports aggressive footwork with a secure fit, stability and shock absorption. Create a precise fit from two simple dials. By analyzing the demands and movement of badminton players, two Boa® Fit System dials are positioned to secure the toes and ankle. The toe features a soft lace for flexible comfort and the dial on ankle tightens the sailcloth covering the instep securing the foot. It provides both dynamic footwork and comfort at the same time. 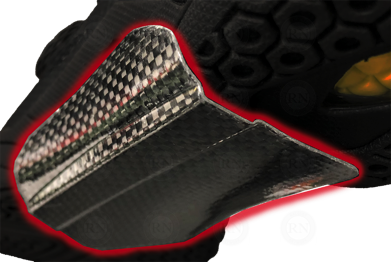 The redesigned 3D Power Graphite Sheet positioned at the mid to outer part of the sole improves torsional rigidity where it is needed most.